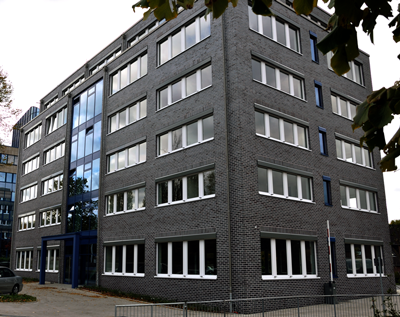 On June 18 2012 ICAMS moved into a new building situated between the city and the main university campus. 5 floors provide space for all departments and central facilities. A description of the directions to ICAMS can be found following the link or downloading the pdf below. The new ICAMS building: Universitätsstrasse 90a, Bochum.